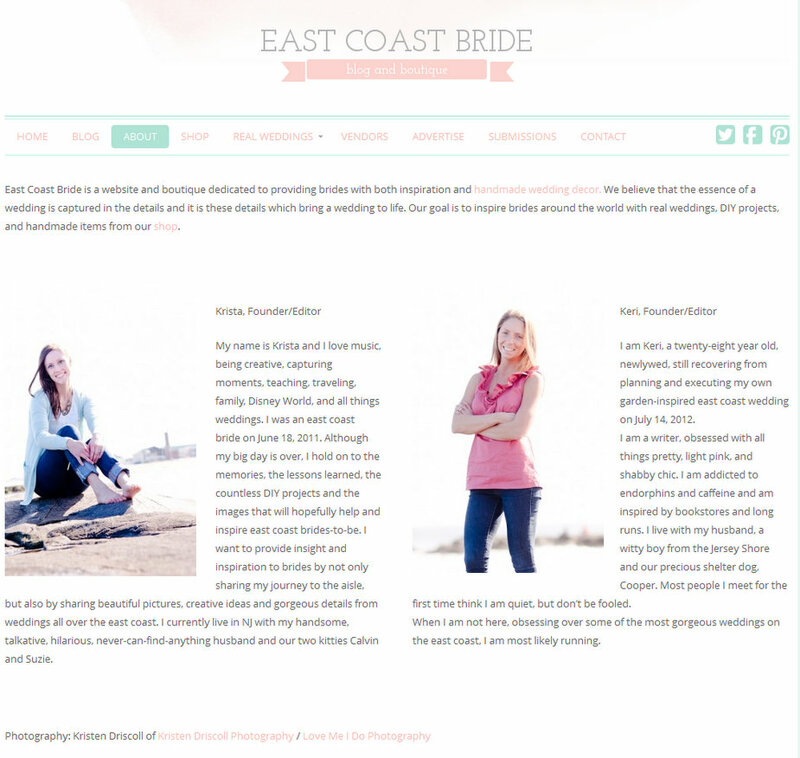 I am proud to have been featured on The East Coast Bride, an amazing wedding blog that you will love! I had the honor of taking Keri and Krista’s promotional photos last spring. 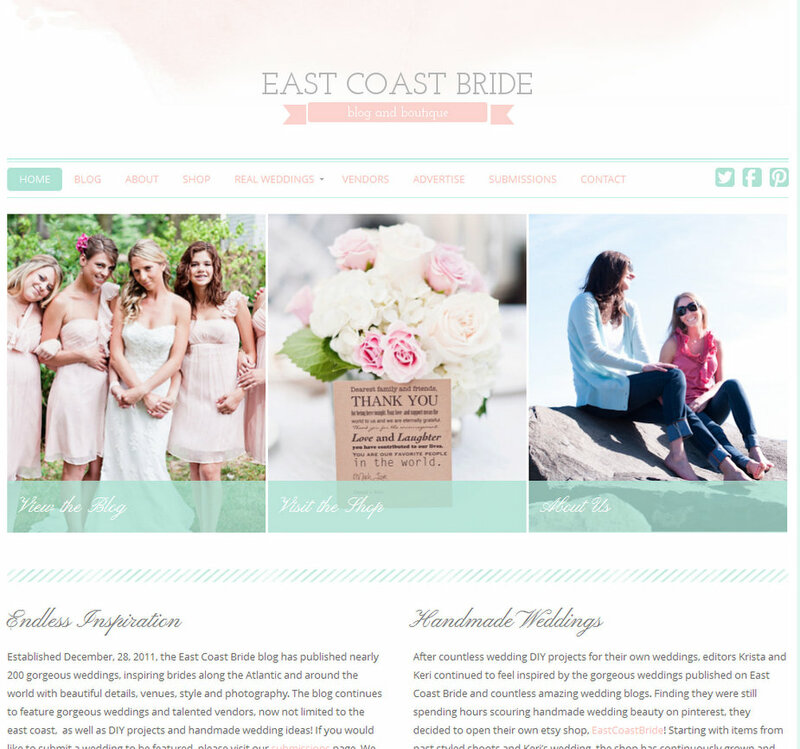 Now that I am planning my very own wedding, I’ve been spending a lot more time on their site and love it even more! They even have an adorable Etsy shop that I love. I have had my eye on their lavender boutonnieres for quite some time!